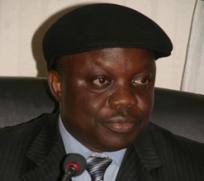 The Delta state Election Petition Tribunal for the April 26 governorship election, sitting in Asaba has upheld the earlier victory of Dr. Emmanuel Uduaghan of the Peoples Democratic Party (PDP) as governor of the state. Recall that Chief Great Ogboru of the Democratic Peoples Party (PDP) had dragged the incumbent governor, Dr. Emmanuel Uduaghan of the Peoples Democratic Party (PDP) to court to challenge Uduaghan’s declaration by the Independent National Electoral Commission (INEC) as winner of the said April 26 governorship election. Dismissing the petition brought against him by Chief Ogboru, the Tribunal chairman, Justice Joy Nwanna ruled in her over 3 hours judgement that the return of Uduaghan in the April 26 election was lawful. According to her, after the accurate compilation of votes from the 25 local governments including the contested six local government areas, Uduaghan still won with majority votes. The contested local government areas are Warri North, Warri South, Warri South West, Burutu, Bomadi and Ethiope West where the petitioner, Great Ogboru said election did not hold. Justice Nwanna said the figures did not substantially affect the result of the election. Although Justice Nwanna agreed with Ogboru, that proper election was not held in some places in the six contested local government areas but the said petitioner failed to prove the respondents wrong. Nwanna likewise invalidated results in some wards in Warri North, South, Southwest and Ethiope West LGAs for non-compliance with the Electoral Act. She however upheld the election of the governor with 422, 509 votes as against 410, 552 votes got by Great Ovedje Ogboru. Ogboru had urged the court in his prayers to return the certificate of return issued to Uduaghan to him having scored 2/3 of the total votes cast. Reacting after the judgement, Ken Mozia, counsel to Governor Uduaghan (1st Respondent) said that the judgement has given validity to his client’s victory at the April 26 poll and shows that the election was credible. Counsel to Chief Great Ogboru of the Democratic Peoples Party (DPP) Ichekor Nicholas faulted the Tribunal’s judgement even when the EC 25 B and EC 40 A forms were not competently tendered to the Tribunal by the 1st Respondent. He submitted that INEC could not produce critical forms EC25B in 245 units of the disputed six council areas which means that election did not hold in those units as the result sheets (form EC8A) cannot exist independently without materials upon which the results were declared while forms EC8A-E that were tendered in evidence which have no bearing to form EC25B, EC40A and EC40C ought not to be allowed to stand, adding that INEC failed to produce voters registers for 243 units, EC40C for 820 units, EC40A in 770 units but declared results in the affected units. Reacting to the verdict, Chairman of DPP in the state, Chief Tony Ezeagwu said the party would appeal against the judgement. According to him petitioner’s prayers to cancel the result of Warri North local government where the governor comes from was not looked into deeply by the tribunal. In the last election, Uduaghan scored 58,634 votes while Ogboru got 1920 in Warri North. The State Commissioner for Information, Barr. Chike Ogeah, who commended the verdict, enjoined the opposition to join the administration to move the state forward. Journalists at the tribunal yesterday had an ugly experience as security barred them from entering the court hall with their phones while lawyers and other chieftains were allowed. Also in his reaction, the Deputy Governor, Prof. Amos Utuama (SAN) has said series of litigations as a result of the gubernatorial elections would not deter Governor Emmanuel Uduaghan from executing his well-thought out 3-point agenda for the benefits of Deltans. Speaking at an interdenominational thanksgiving service to mark the victory of Governor Uduaghan at the Gubernatorial Election Petition Tribunal yesterday in Asaba, the Deputy Governor observed that Governor Uduaghan will not relent in ensuring quality service delivery to the people of the state. He however, stated that the litigants as Deltans should join hands with Governor Uduaghan in moving the state forward, emphasizing that it was important for the state to continuously live in peace with one another and work in the interest of the state. The Deputy Governor reiterated that the thanksgiving service that followed every electoral victory was important, noting that it was important to thank God for His blessings especially for having a well-focused person as Governor of Delta State. “We prayed to God that after giving us this victory at the polls, He should sustain it,” the Deputy Governor said, observing that it was important to have a tenure devoid of all forms of distractions. Those who attended the church service included the Secretary to the Delta State Government, Comrade Ovuozorie Macaulay, members of the state executive council, top government officials, civil servants and politicians.